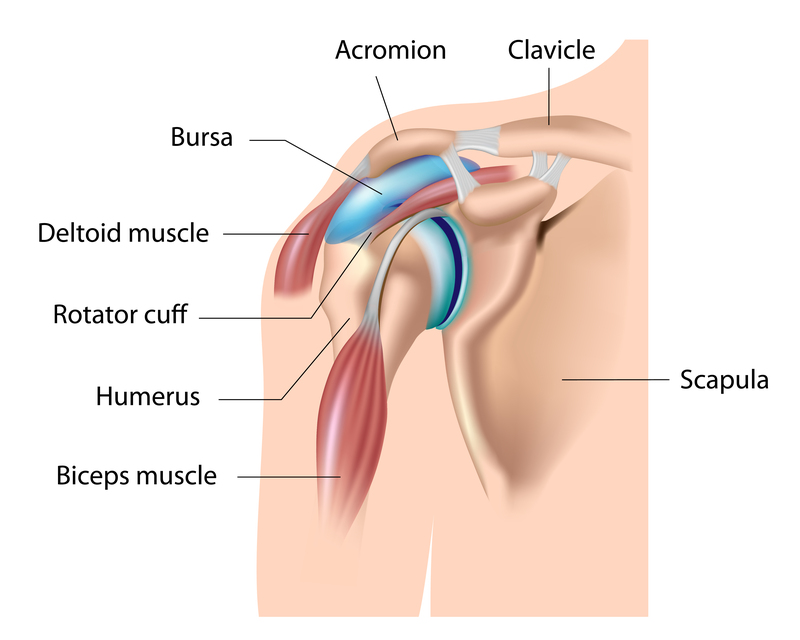 Osteoarthritis of the glenohumeral and scapular joint, like other osteoarthritis is a progressive and irreversible process, in the course of which joint surfaces and surrounding soft tissues are damaged. The disease affects mostly people over 50 years of age, and persons whose work conditions can significant burden of the upper limb. Among young persons, the occurrence of degenerative changes in the glenohumeral and scapular joint is mainly related to sports activities. The articular cartilage provides nutrients when the joint is in motion. The low quality of the synovial fluid negatively affects the nutrition of articular cartilage which does not receive full-value building blocks. An equally strong impact is made by factors such as proper nutrition and hormone levels in the body. The main symptom associated with degenerative changes of the glenohumeral and scapular joint is pain. Usually this is non-specific pain, diffused, felt throughout the upper limb, all the way to the wrist. Compared to degenerative changes occurring in other joints it is relatively modest, since most often the damage regards the poorly innervated and vascularized cartilage. The disease which does not have any pain symptoms is defined as inactive degenerative disease. 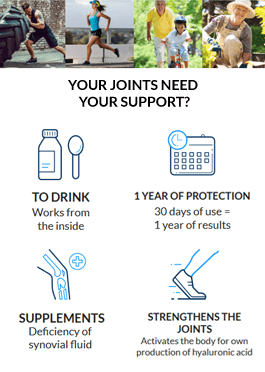 In the initial phase of the disease, pain can occur only after a considerable load of the joint or increased physical activity, and after rest, it may disappear. The first symptom of the disease is limit joint mobility and muscle weakness observed by the patient, which can affect the impairment of the entire upper limb. Indications for individual tests are dependent on the disease stage. In young people, an X-ray image can prove nothing, and then it would be advisable to perform a more detailed MRI or CT.
Hyaluronic acid is the main ingredient in synovial fluid, so it is important to constantly supplement it. In osteoarthritis, the factor causing pain is usually inflammation. Long-term persistent inflammation affects the surrounding tissue, leading over time to its weakening. In the case of the glenohumeral and scapular joint, such consequences may greatly reduce the range of motion and limit daily activities. As with any joint disease, regular physical activity and diet are the most important. Movement causes pressure changes inside the joint which allow to nourish the articular cartilage. Good quality of synovial fluid, is such that occurs when the body does not have inflammatory processes. The diet should contain mainly fish, vegetable oils and dairy products (if you do not have allergies) and wholegrain cereals. Hyalutidin HC Aktiv is a revolutionary combination of hyaluronic acid and chondroitin sulphate. Thanks to the liquid form, the ingredients of the preparation are quickly transferred wherever deficiency occurs.